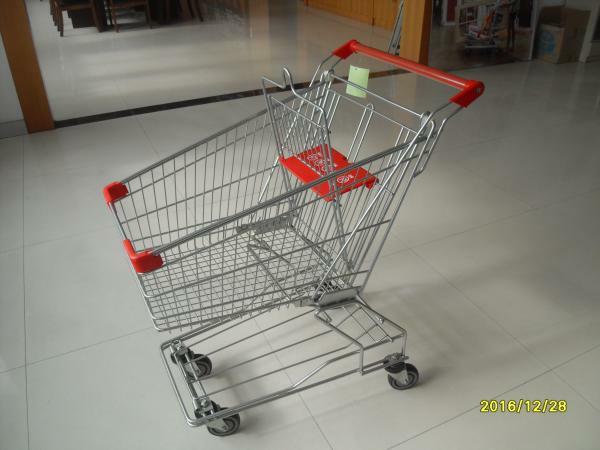 45L asian design small wire shopping carts with base grid, zinc plating with transparent powder coating, with baby seat , handle with logo, with 4 swivel 4 inch PU wheel . Certifications: ROHS/GS/CE/SGS(ISO9001-2008) Our products have passed CE,GS,SGS,TUV,ROHS,UKAS standard. coating,Chrome plating with transparent powdercoating3)E-coating with colored powder coating. 8) Plastic parts color : Any color is available. 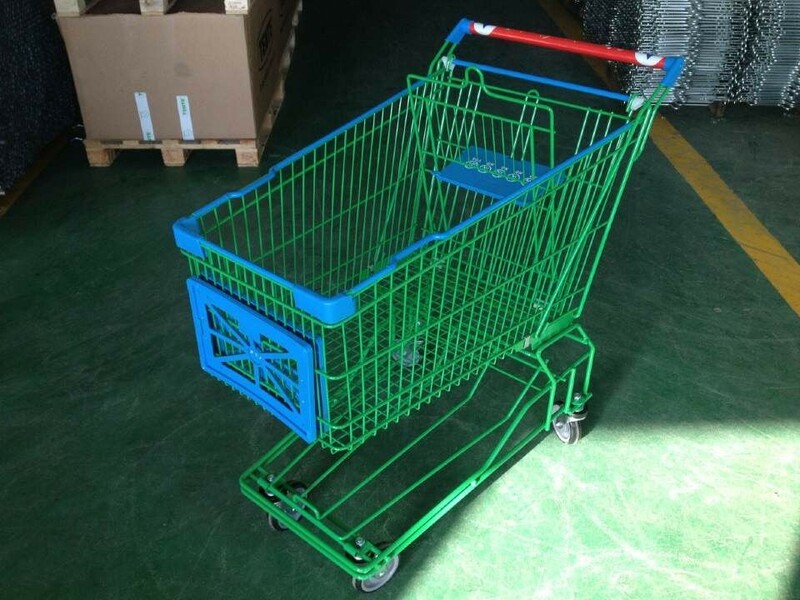 9) caster: Escalator wheel,normal flat wheel,PVC,PU,TPR materials etc.